30008 Contemporary Oushak Style Rug 08'00 X 09'10 From Esmaili Rugs Collection. 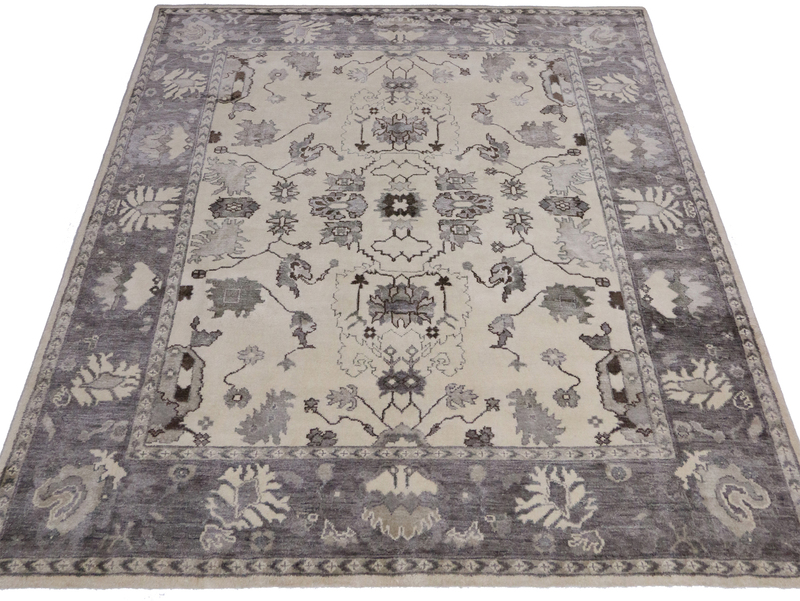 This contemporary Oushak style rug keeps the eyes entertained, yet it is modest and well-balanced. 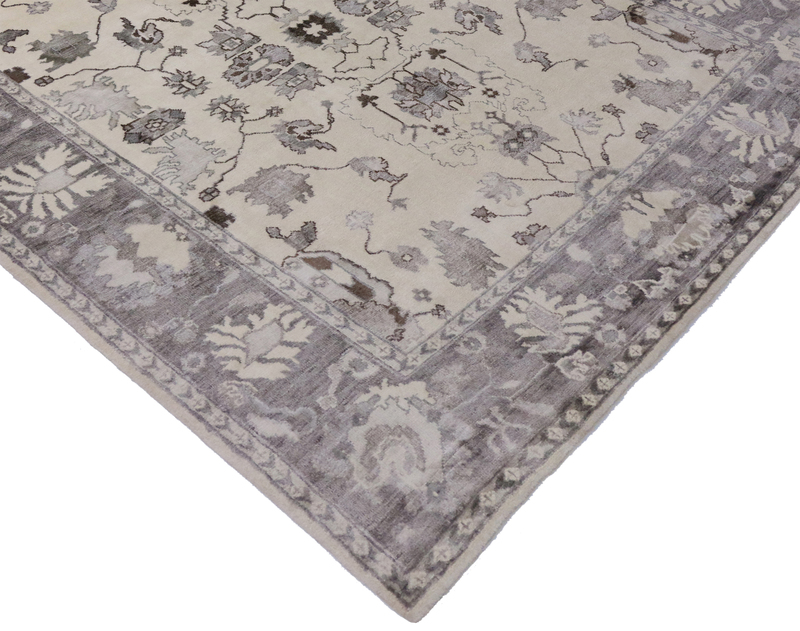 This Oushak style rug has such refined aesthetic with the light field combined with the shimmering gray motifs. The modern Oushak style rug displays an elaborate pattern composed of palmettes, lotus, serrated leaves and angular vines that highlight the delicate beauty in this piece. This modern Oushak style rug provides a high level of decorative appeal and will bring sophistication and elegance to nearly any setting. Rendered in variegated shades of gray, charcoal, stone, oyster, smoky taupe and cream. Hand-knotted wool. Made in India. Measures: 08'00 X 09'10. Brand-New. In-Stock.